If you are starting a business or looking to move your business to a long-term location, Ashwood Business Park has prime land for sale in Carroll Iowa. This land is located on a bypass so rush hour traffic won't be an issue for your customers. 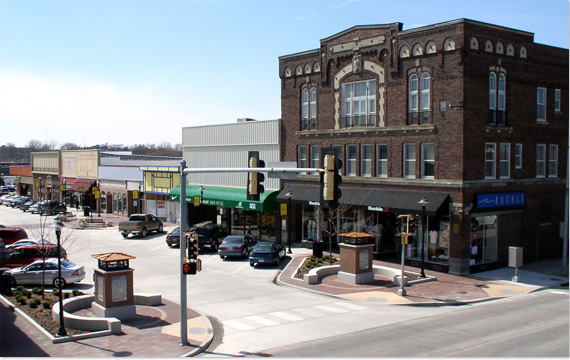 The lots are located in a beautiful open part of Carroll, Iowa and already have utilities available for your business. We are willing to work with you in dividing up the lots to suit your business needs. Ashwood Business Park has the land for sale that you have been looking for to build your business. Because of the location of these lots and the availability of the utilities, your business will not only be in a prime location but will be up and running quickly. Several other prominent businesses are located near Ashwood Business Park such as Farmer-Bocken Company, Pella, and American Home Shield making it a location that will give your business some notice. Location matters when it comes to investing in land for your business. The scale of profits in a location where you have more exposure will be larger than if located in an out-of-the way location. When you hear the words "location, location, location", it does matter when you have a business. Our prime land for sale in Ashwood Business Park is a location that can improve the success and strength of your business. An unfavorable location can become a hindrance for an otherwise successful business. Planning a business in a business park, with a lot of customers coming and going, will give your business new potential customers. Buying land in Ashwood Business Park will give you the business traffic your need to get noticed. Consider investing in commercial real estate so your business can expand and grow. You may attract visitors from nearby towns. If you are a business owner looking to establish a retail building, office building, warehouse, industrial building or rental space, consider Ashwood Business Park. We have lots of land for sale, so we can accommodate your business needs. These prime lots have the utilities ready to go including water, sewer, and internet. This will allow your business to get up and running sooner than other locations. Contact us soon for this prime land for sale in Carroll Iowa. • Public attention helps maintain stores and businesses. • Helps increase net leases. New business opportunities in Iowa can be made easier when the location is in Ashwood Business Park. Visit our financial assistance page to see how you can get assistance with the financial side of your business. We will be happy to answer any of your questions so you can get started on your new business location.